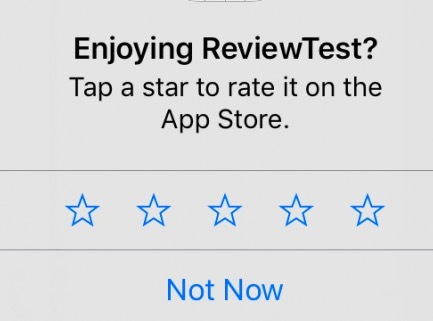 You are playing your favorite game on your iPad or iPhone and suddenly you are interrupted because you are asked to rate and review the app. It is annoying so you may want to put a stop to this. This short guide explains how you can stop apps from asking ratings or reviews so that they cannot annoy you with their review prompts anymore. See also: App Store Blank? Enjoying…..? Tap a star to rate it on the App Store. Note this option is turned on by default. So, you disable this option and see still review popups? This is because. since Apple has implemented this change recently, some apps may not be fully up to code yet. But they will. Apple has given developers a grace period. If you are asked for a review, and you decide to review, you will be able to leave a rating without exiting the app. This is a huge plus. You will not have to stop what you are doing. It will be a lot more convenient to leave a review. Developers can now only display these popups only three times a year. If you write a review, you will never see it again. This will prevent many apps from aggressively asking for feedback.